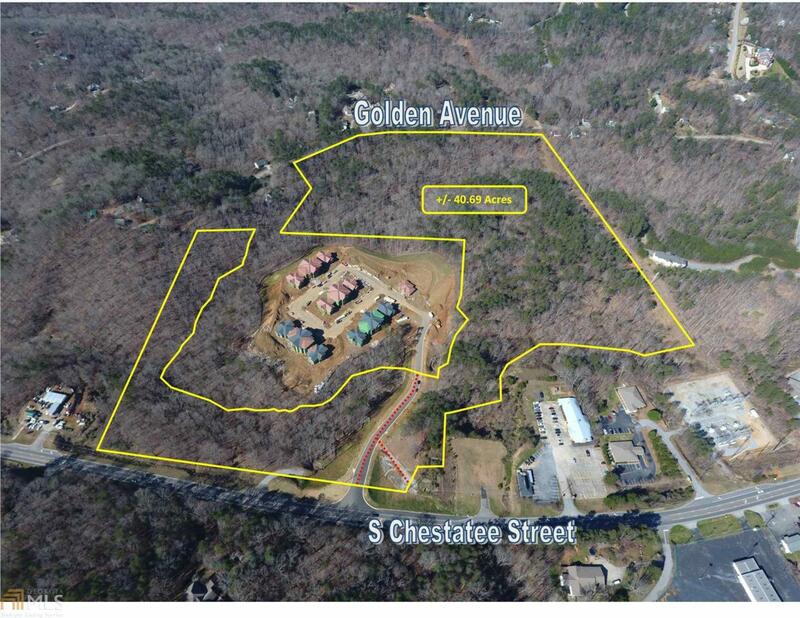 2.72 acres of an assemblage of 40.69 total acres of beautiful mixed-use land on South Chestatee Street (Hwy 60) in Dahlonega, GA. All utilities are available including sewer and water. This property is being marketed as a bulk sale and as individual tracts based on proposed uses. The total assemblage is well suited for 21.10 +/- AC of Potential Office/Institutional, Medical, Senior/Assisted Living (Blue) and 8.93 +/- AC of potential Retail (Red) along Hwy 60 and 10.66 +/- AC of Potential High Density Residential (Yellow) development along Golden Avenue. This 2.72 acres is a part of the 21.1 AC of potential office/industrial. Topography is rolling. The traffic count at Highway 60 is 16,300 vehicles per day. Bring your user!